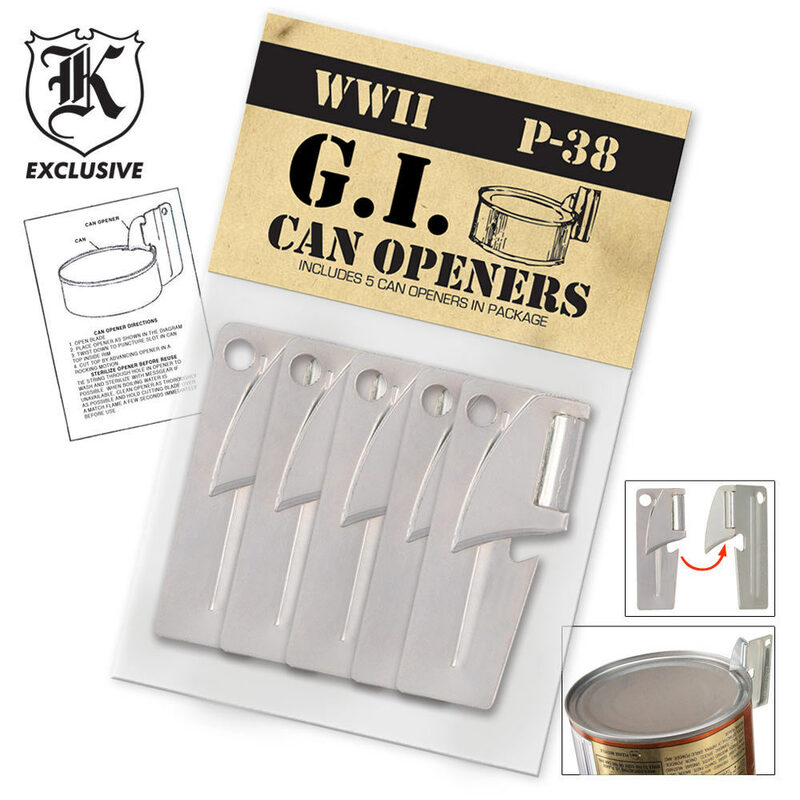 5-Pack P38 GI Style Can Openers - Survival SHTF | BUDK.com - Knives & Swords At The Lowest Prices! These GI type P-38 Can Openers each measure 1 1/2" long and fits on a key chain. They are great tools to have when hiking, traveling or hunting! Each set includes five can openers. Make sure you include a couple of packs of these in your SHTF gear. Can't beat having these around. 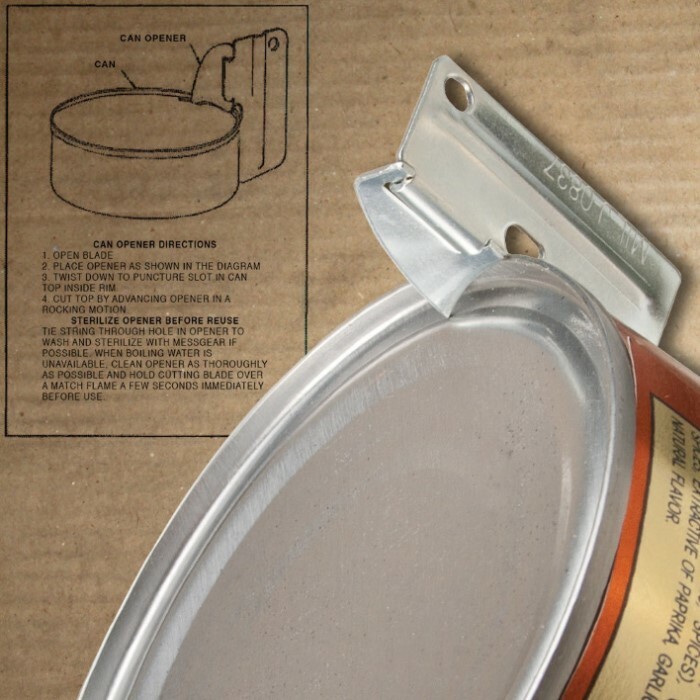 Good for around the house, camping, bug-out gear or what have you. They are larger than the military issue P-38, but the same in every other detail. Can't beat the price. Should be one of the first items in your bug-out bag. If you don't already have some, then do it Now ! Works just like the Army ones I have had over the years, and fits a key chain or dog tag chain. You got to eat, and you are gonna need a can opener. They give you 5 each. You can only use one at a time, so they prob figure you are going to loose 4 of them, so Buy a bunch at these prices and stuff them in the survival bags. 5-Star item. Strong, usable and like military issue. Been carrying one since Korea, on my key ring. And use it often. Can't beat price and quality at twice the price!!! Is grate foe the servilest. 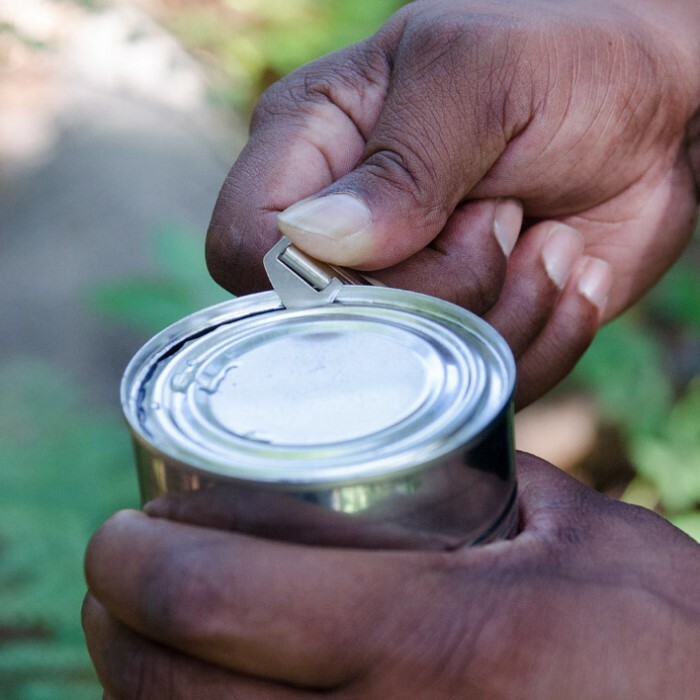 Cuts cans open like buter wonce u get used to uaing them. Fits grate on a key chane. A well made replica of the ones that I used in VietNam many years ago! A MUST HAVE!BOUGHT 3 PACKS SO I CAN PUT ONE IN EVERY CAR TOOLBOX TACKLEBOX IN MY SCOUT GEAR AND IN OUR PATROL BOXES.OPENED EVERYTHING FROM SMALL TUNA CANS TO #10 BAKED BEANS. I served in the army back in the early 80's before they switched from c rations to mre's. It was vital to have a p38 can opener,these openers are not the original p38's.They are not as strong and durable as the military issued openers.These openers how ever or useable and brings back memories of a simpler time. Why pay more to open a stinkin' csn? I keep one on my neck knife all the time, in fact, I have them everywhere. You don't have to think real hard or real long to see how this innocuous little device could serve as a nasty self-defense tool. Just sayin'.